Since 1994, We have offered science-based holistic solutions enabling people to end their health problems and take control of their own health. 2. TELL US about yourself and your problems. LEARN about us. Your FIRST STEP to regaining your health and life is to give us detailed information about your symptoms. Specific symptoms are clues to the underlying stress that causes them. Click the link below to fill out a Symptom Survey Evaluation. A doctor will call you for a Free Consultation on your evaluation. Find out if we could help you, and what is stressing your body. THIS IS THE FIRST STEP TO REGAINING CONTROL OF YOUR HEALTH. Dr. Billiot explains how accurate evaluation and testing is vital to the recovery of your health. The goal of EvecticsSM: A patient’s body that is no longer a problem in their life, for the rest of their life. THIS PLACE IS AMAZING!!! I’ve been a patient here for approximately 10 months and my medical condition has improved with every visit. The doctors and staff go out of their way to make you feel special. For me they are like family now. This was hands down the best medical decision I’ve made in regard to improving my quality of life. YOU GUYS ROCK!!! To good health! I’ve been coming to Alternative Healthcare Atlanta for about a month now. The program is amazing. And it is 100% individualized. Everyone is extremely nice and helpful. I started feeling better immediately. And I continue to make progress, super exciting to see that there is help for my chronic fatigue. Dr. Billiot takes her time with each and truly cares about my health and well being. I’ve gone from lethargic, unable to concentrate or keep up with my busy life to feeling like I was in my early 30’s. Plus I’ve learned ton!! Eighteen years and going strong. This year I entered my sixth decade and I must say that I feel better at sixty than I did at fifty and much better at fifty than I did at forty. After decades of abuse to my body with 100 hour work weeks, 3 packs a day of cigarettes and countless amounts of junk food, Dr. Billiot has helped me restore my health, even working against time itself. This I consider a miracle. If she can handle me then she can handle anyone. I am a 73 year old male. When I first came to Alternative Health Atlanta, I was in trouble. I was 50 lbs overweight, my diabetes was out of control, I had GERD which required a daily medication and I had very low energy. In a word, I was pretty miserable, physically and mentally. Dr. Billiot told me she would try to help me if I would cooperate. Fast forward to today and it’s remarkable how much improvement I have made with the Evectics protocol. I have lost 23 lbs, my diabetes is under control, my GERD no longer requires a PPI prescription medication and I feel so much better. In January when my medical doctor reviewed my recent blood test results, she exclaimed, “I don’t know what you are doing, but whatever it is, keep on doing it”. My wife and I are celebrating our 50th wedding anniversary in April. We have several trips and activities planned for this year, most of which I could not have envisioned being able to do before starting the Evectics protocol. If I could give them 10 stars I would! This is the best Doctor-patient experience that I have ever had in my 30 plus years on this earth. They really take the time to dive DEEP into what is going on in your body on a scientific level. They get a good baseline of where you are at when you first come in and then monitor your progress very closely throughout your treatment. The treatment is the most non-invasive treatment I have ever received as well, no pain, no unwanted side effects. I have never felt this good in my entire life and have the Doctors and staff at Alternative Health Atlanta to thank for that! If you are having issues that nobody else can figure out, I highly recommend giving them a call and speaking with one of the Doctors to see if it’s the right fit for you. There needs to be more health care facilities like Alternative Health Atlanta! We are a RESULTS-driven practice, using only non-invasive techniques. Instead of treating disease or medical conditions, we provide natural ways of finding out why the body is functioning incorrectly. Once this is found, the correct function can be restored using the natural techniques in the EvecticsSM system. EvecticsSM is a system of identifying and addressing the priority stresses preventing the body from healing. It does not utilize “trial and error” or best guesses. An EvecticsSM practitioner knows exactly what to do next that will most help the body to heal. All patients are tested and programmed in advance of treatment. EvecticsSM requires personalized treatment with a caring practitioner. Patients are full participants in their own healing, and progress only takes place with caring practitioners listening to and helping their patients. Are you a woman with severe, long-term, or frustrating health problems? Are you exhausted, depressed, anxious, or unable to sleep? Do you feel hormone crazy and overwhelmed? Do you have digestive disturbances, joint pain, headaches, hair loss and weight gain? Do you wonder how you got here? One day you woke up in a complete mess, but can’t for the life of you figure out how it happened? 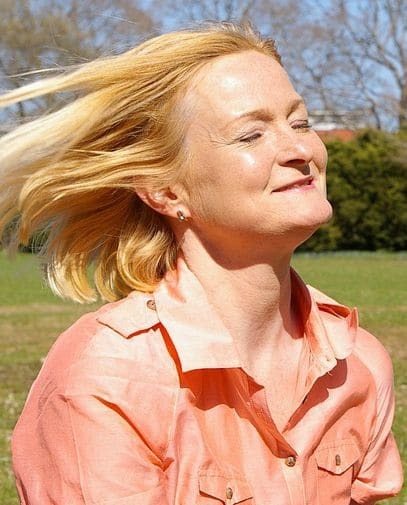 How to get your life back—with energy and vitality for all the stages of your life as a woman. 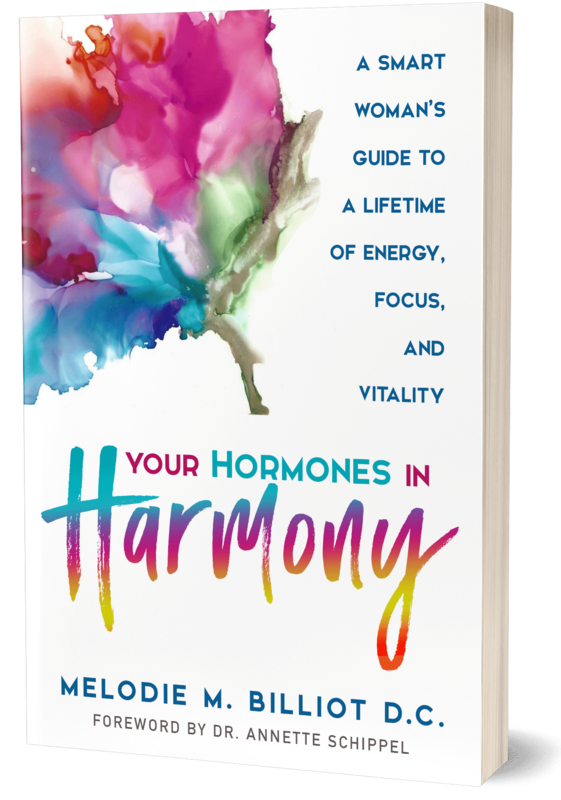 Your Hormones in Harmony is written by a woman and a doctor who has lived through her own exhaustion and illness, and discovered the answers to her own health. As a result, she has helped thousands of women just like you to regain their health. Dr. Billiot has written this book based on 25 years of unique experience: Owning Alternative Health Atlanta, a clinic that specializes in helping patients that no one else has been able to help. If you are one of these people, if you have “unsolvable” health problems, the information in this book could change your life. If you simply want to know how to get healthy and stay healthy in a stressful and toxic world, you’ll need the information in this book as well. Find out how chronic disease doesn’t have to stay chronic! Learn how you can take control of your own health and stay healthy for the rest of your life. Read this book, then give a copy to a friend.